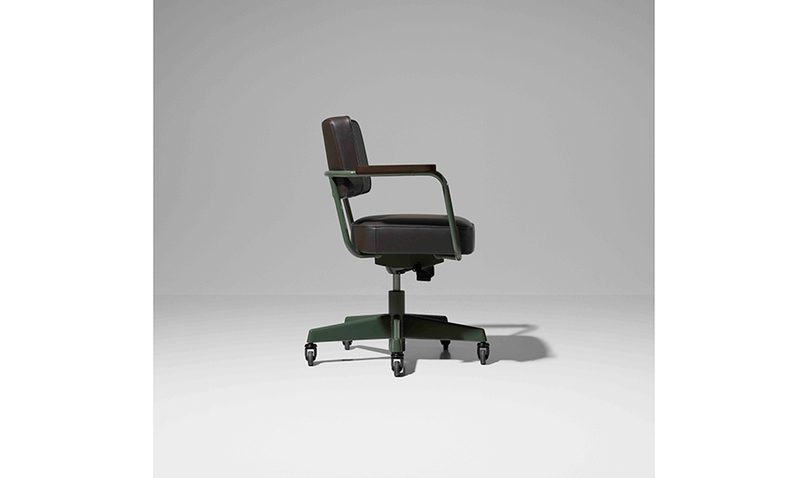 More than seventy years after their creation, a collection of classic office furniture by Jean Prouvé is being updated and released to the market. 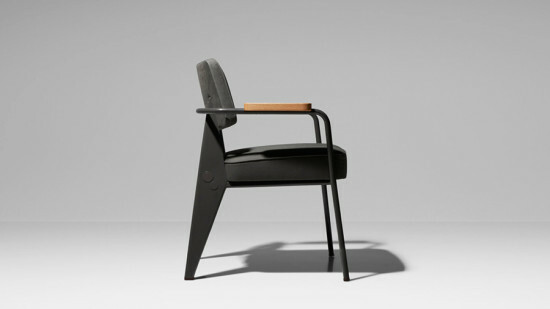 Dutch fashion purveyor G-Star, in conjunction with Swiss furniture manufacturer Vitra, have developed “Prouvé Raw,” a collection of ten pieces that include chairs, desk and wall lighting, conference tables, and writing desks. And Rem Koolhaas also plays a role in this revival. In 2014, OMA and Koolhaas completed a new headquarters for G-Star. Observing an affinity between the architecture and the Prouvé pieces that was mirrored by the design philosophy of the fashion house, a decision was made to outfit the offices, conference rooms, and canteens of the new building with the seven-decade-old furnishings. In cooperation with the Prouvé family, Vitra adapted the French designer’s furnishings to meet the needs of today’s office. 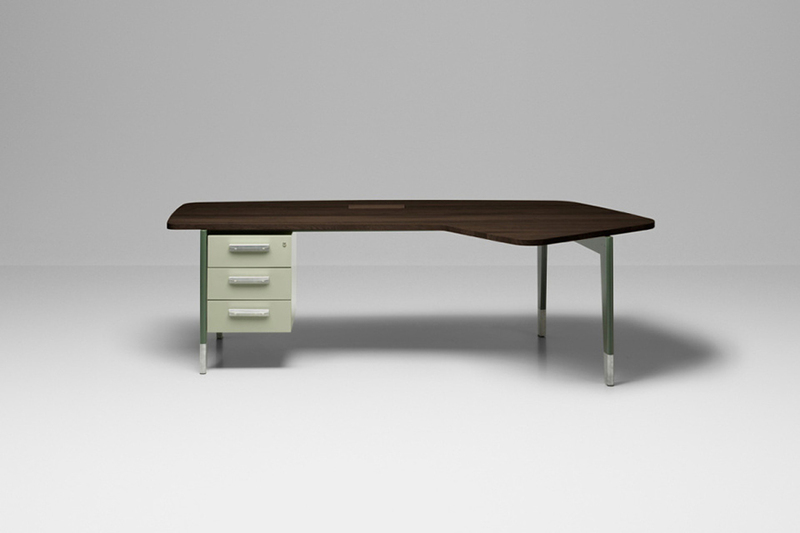 Desks have been modularized, and fitted with concealed runs for cables and pop-up power outlets. The swiveling desk chair has a more stable five-branch base. Teaming up with art directors at G-Star, color and material palettes were created that are true to the aesthetic of both Prouvé and the Dutch company. 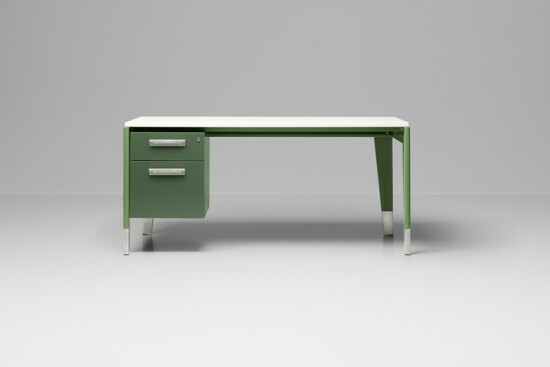 Several shades of industrial green, and leather and fabric upholstery complement the steel and solid-wood furnishings. 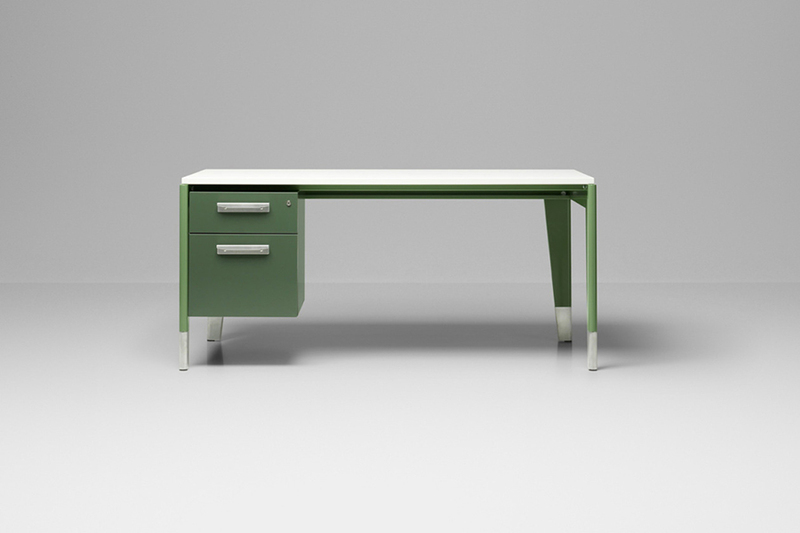 The Prouvé Raw collection debuts next month at Salone in Milan.